Calculate title and registration fees. Florida DMV certified and bonded. Signing up gives you access to issue Florida temporary tags, registrations and transferring metal plates online. After signing up we will create your principal user account that allows you to access the system securely. You can customize your username and password at any time. During the signup process you'll be asked to provide basic information about your dealership and once registration is complete we'll mail you 15 free tags (a $37.95 value). Registration is reserved for Florida licensed dealers only. Copyright © 2008 - 2018 . 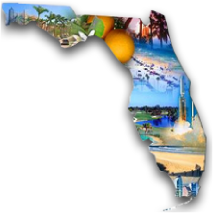 Florida ETR is a service of Integrated Dealer Solutions. All Rights Reserved.